Many declawed cats suffer a lifetime of chronic pain, get help for your cat today! Now that is one happy lady! 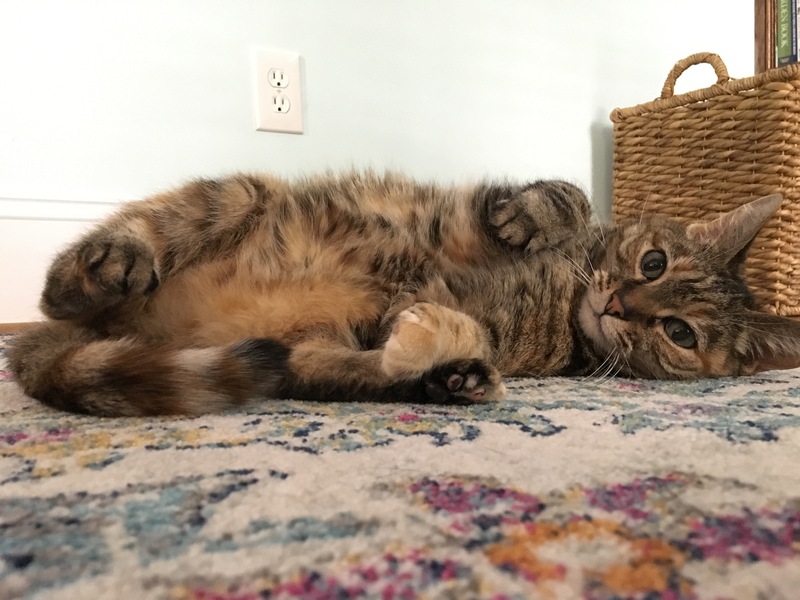 Three and a half years ago, my husband and I adopted a beautiful adult cat named Lucy who had been declawed on all four paws by a prior owner. She had some issues with litterbox aversion for the first few months, but eventually things levelled out. However, recently her issues came to a head again. After a rocky six months of regular vet visits (where I was simply told she had behavioral issues), UTI diagnoses, and antibiotics that didn’t seem to help, we threw out our third rug and tried to figure out where to go next. I found Ingrid’s website and it was the testimonials that made me think that maybe, just maybe, she could help us find some answers. 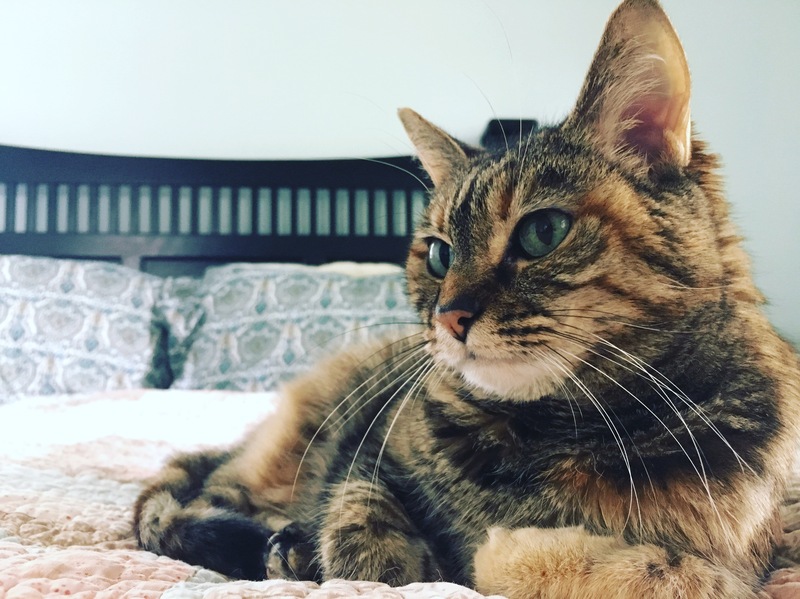 Ingrid spoke with us at length prior to setting up an in-home visit, then spent a morning in our home, giving us recommendations focused on solving Lucy’s issues, as well as to simply bettering her life as a domestic cat. I’ll admit that we were skeptical. Ingrid said that Lucy was in pain and recommended beginning a pain pill to attempt to resolve her litterbox aversion. We are now a full month into her regimen and Lucy seems happier than ever, a bit more spry, and, more importantly, she hasn’t peed anywhere but her litterboxes! The stress we were experiencing as a family as a result of Lucy’s issues has finally been resolved, and my husband and I could not be more grateful for Ingrid’s expertise.